Completed in 1932, the Bixby Creek Bridge soars 260 ft (79 m) above the bottom of a steep canyon carved by Bixby Creek. 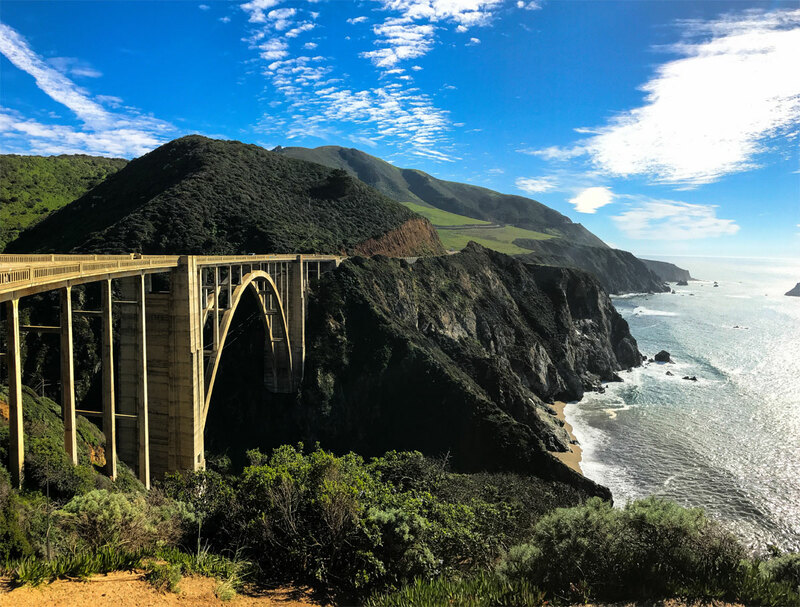 Located on the Big Sur coast of California, the bridge is 120 miles (190 km) south of San Francisco and 13 miles (21 km) south of Carmel in Monterey County along State Route 1. According to Visit Califonia, the span was completed before the road, and it would be five more years before the route linking Carmel to San Luis Obispo would even be opened. To build the bridge, a massive wooden framework was built first. Then, 45,000 sacks of cement had to be hauled up the framework with each bag transported via a system of platforms and slings suspended by cables 300 ft (91 m) above the creek. Today, it remains one of the tallest single-span concrete bridges in the world.